The NC Section nonprofit corporation organized and operated exclusively for charitable purposes, specifically to administrate and run the state and local Section match, as well as all safety education training for range officers. 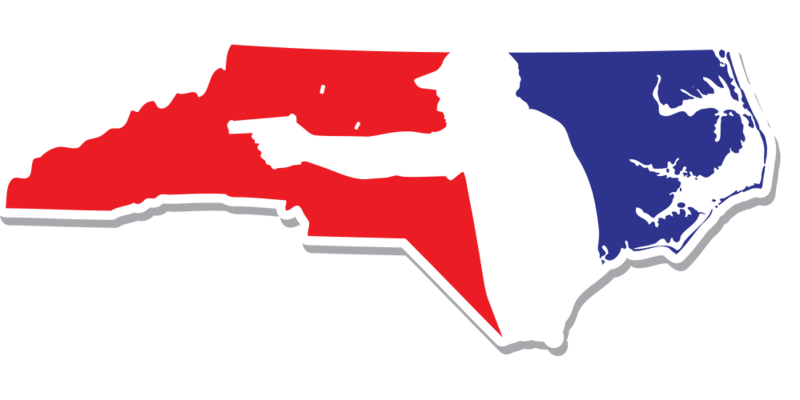 The mission of the North Carolina Section of the United States Practical Shooting Association (USPSA) is to promote the safe and practical sport of shooting by presenting annual programs and continuing education programs to our member athletes. The Section will encourage athletes to promote the principles of sportsmanship, honor, integrity, and courtesy at all events. The Section shall promote skill development with young people through annual events designed to develop self-esteems, leadership, and the core values of safe and courteous athletes. Our members will become ambassadors for the shooting sports as they represent the Section at local, state, regional, and national competitive shooting events. The NC Section is based North Carolina and relies on the work of volunteers to accomplish its objectives. The NC Sections primary goal in collecting personal data from you is to give you a meaningful, enjoyable and customized experience while using our website and to allow us to develop new interactions that are relevant to visitors like you. Personal data also allows us to provide services and features that most likely meet your needs, and to customize our service to make your online experience smooth and efficient. To provide access to certain information on our website, we need to collect certain personal data identifying who you are, your email address and your mailing address. Visitors may also be asked to select a user ID and password. If you opt not to provide your personal data, you can still access our website; however, you may be unable to gain access to certain information. We will not collect sensitive information through our websites unless it is required. We ask that you not send us or share any sensitive Personal Data (e.g., government-issued or financial account numbers, information related to racial or ethnic origin, political opinions, religion or other beliefs, health, genetic, or biometric data, criminal background or trade union membership) unless we specifically request this information. The NC Section website is not directed to minors. If you believe that we have mistakenly or unintentionally collected Personal Data of a minor through our website without appropriate consent, please notify us, as detailed in our Contact Information section below, so that we may immediately delete the information from our servers and make any other necessary corrections. We use personal data about you to improve our marketing and promotional efforts; to statistically analyze site usage; to improve our content and offerings; and to customize our sites’ content, layout and services. We may also use your personal data to deliver information to you that, in some cases, is targeted to your interests, events and fundraising promotions. We believe these uses allow us to improve our site and better tailor it to meet our visitors’ needs. The NC Section may combine non-personal data collected automatically (e.g., through web log data) with your previously submitted personal data. The NC Section uses web log information (such as your web browser, operating system, pages visited, etc.) to help us design our website, to identify popular features, and for other managerial purposes. However, web logs may be used if necessary to help identify any person attempting to break into or damage our website. We may share web log information with law enforcement agencies if we believe that we have evidence of a violation of computer security or related laws. The NC Section is committed to keeping the data you provide us secure and will take reasonable precautions to protect your personal data from loss, misuse or alteration. Vendors, contractors, or partners of the NC Section who have access to your personal data in connection with providing services for the NC Section are required to keep the information confidential and are not permitted to use this information for any other purpose than to carry out the services they are performing for us. When necessary, we use secure connections on our website to protect information during its transmission. Access to your personal data is password-protected and we regularly monitor our system for possible vulnerabilities and attacks. Except as stated below, we will not share, trade or sell personal data of our visitors for use by any business. However, aggregated and statistical data from our visitors may be shared with our partners in a manner that does not identify you personally. For example, we may let a partner know that approximately “75% of our visitors use high speed connections or access our site after 7pm.” We may share personal data with service providers or contractors that perform services for us and act at our direction. The services they provide may include such activities as direct mailing, fulfillment services, or email campaigns. When you have agreed to receive such services, we also may share personal data with our business partners that provide joint offerings with us. When we do so, such business partners are restricted in using your data to provide the services you’ve agreed to. The NC Section may share your personal data with any person or company that acquires the NC Section business or any portion of the the NC Section business to which your personal data relates. The NC Section will ensure that any person or company to which your personal data is transferred agrees to abide by the same privacy obligations as the NC Section. The NC Section also reserves the right to share personal data to respond to duly authorized information requests of governmental authorities or where required by law. We may also share personal data in responding to requests from law enforcement officials, government bodies or judicial authorities to address matters of personal or public safety, national security, litigation, investigations (including data security incident investigations), and other legal matters where the data is pertinent. Although the NC Section does not operate internationally, it has developed global data privacy and security practices designed to ensure that your personal data is appropriately handled and protected. Please note that personal data may be transferred, accessed and stored globally as necessary for the uses and disclosures stated above in accordance with this policy. By providing your personal data to the NC Section you consent to the NC Section transferring your personal data to its affiliates globally and to third party entities that provide services to the NC Section. Our website may provide, or third parties may provide, links to other websites or resources. This Policy applies only to our website. It does not apply to services offered by third parties, including websites and other online services to which our website may display links. When you click on such links, you may be visiting websites or interactive services operated by third parties, who have their own information collection practices. We do not have control over how any third party collects or uses information, so we recommend that you review their privacy policies to learn of their practices. Access to the personal data we hold about you, free of charge in most cases. You can access your account information by logging in to your account. If you request access to additional personal data, you can contact us at the information below. The correction of your personal data when it is incorrect, out of date or incomplete. You can correct your account information by logging in to your account. If you would like to request correction of additional personal data, you can contact us at the information below. The NC Section does not currently engage in activities in which decisions are made that are solely based on automatic processing of data (i.e. where no human has yet reviewed the outcome and criteria for the decision); however, to the extent that the NC Section begins to engage in this type of processing, you may request a review of any decision that is made in this manner. You can send us a request to exercise these rights and access, correct, or remove your personal data by contacting us at any time at [email protected] If you send us a written request to access, correct, or remove your personal data or to remove yourself from a database, we will respond to your request within 30 days. You may opt out of email marketing by using our general unsubscribe automated link that is included in the NC Section marketing emails.